Go south from Yosemite Valley on Wawona Road (CA-41 South). Take Glacier Point Rd. and follow this. 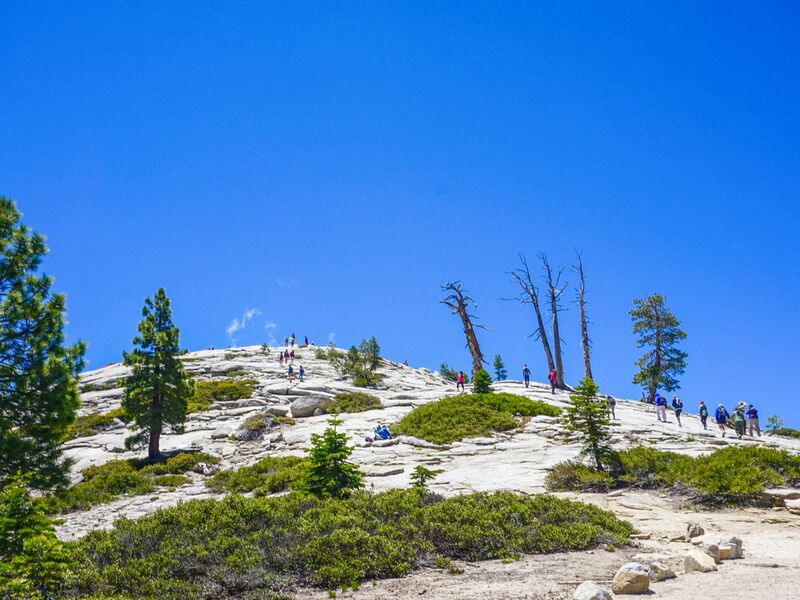 When busy, park at the base of the ski hill and take the bus, you can jump the lines since you are only travelling to Sentinel Dome. The public bus from the ski hill is a great benefit for this hike, as it allows you to do a one-way linear hike. 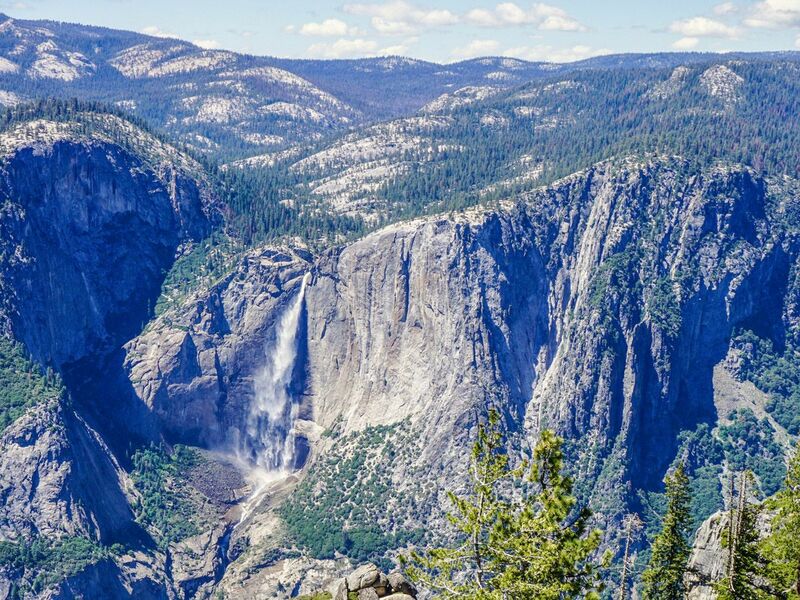 Best of all, you can jump the queue if you are only going to Sentinel Dome, as they will let you stand. Make sure you check when the last bus is – otherwise you could have a very long walk back to the ski hill (~10.0km). 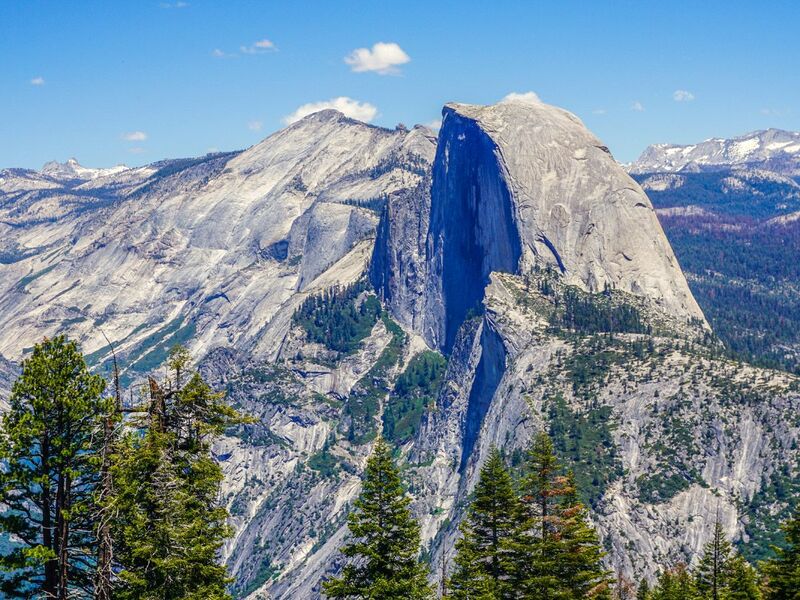 This hike is best done starting at Sentinel Dome and then walking downhill to Glacier Point. 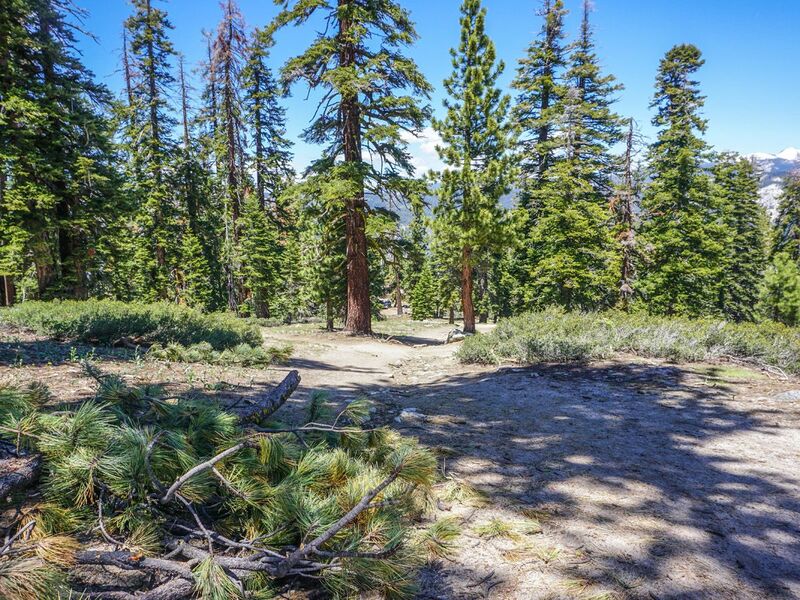 It can be done as a circuit, with a return along the Pohono Trail out to Taft Point and then back to the Sentinel Dome parking lot as well, which is about 12.0km, and is a lovely day out. 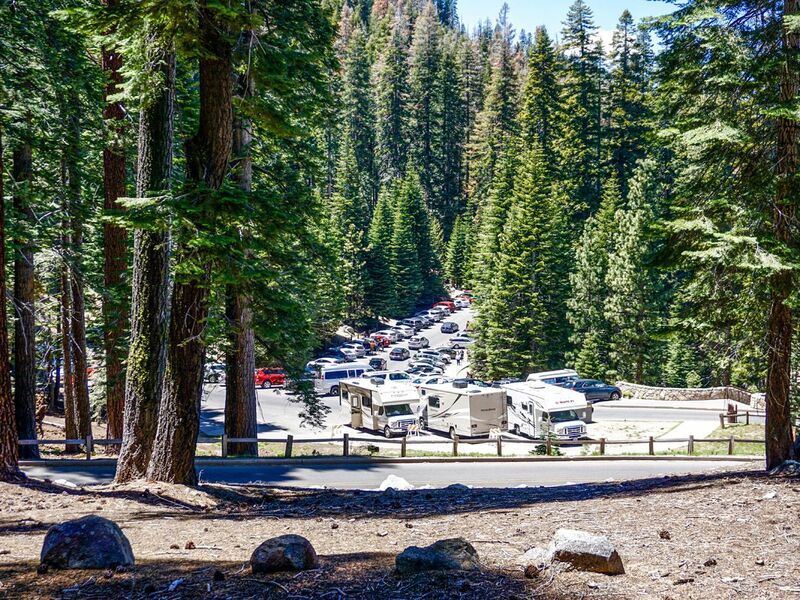 From where the bus drops you off, walk past the parked cars and a washroom going roughly north towards Sentinel Dome, there is ample signage and you should have no trouble. At the first junction turn right. You are walking on a wide, slightly uphill path with scattered trees. 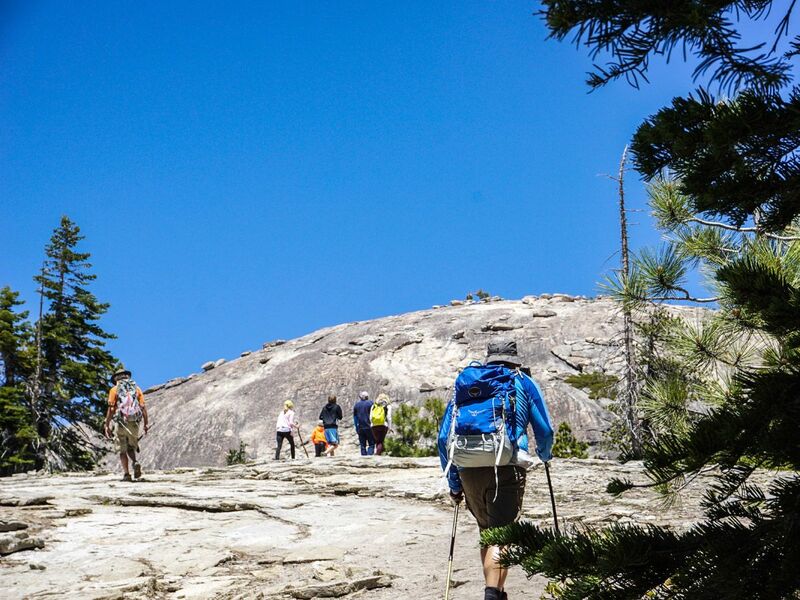 You see Sentinel Dome and it looks like it will be hard to summit, however it isn’t. After reaching a ridge you will turn left to head up to the Dome itself, which can be walked but depending on your route you may have to use your hand to steady big steps. 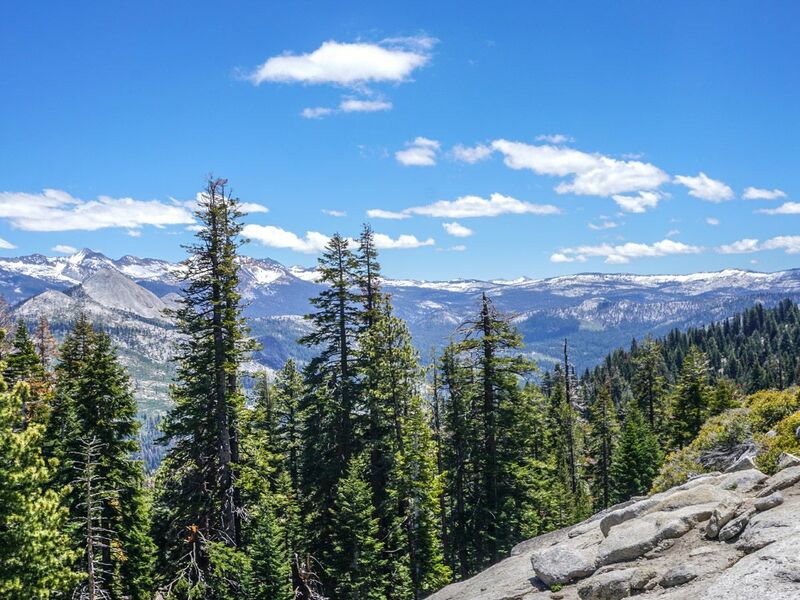 From the top of Sentinel Dome (which seemed to be pronounced “Centennial” by many) you will see excellent views in both directions of the valley – including scenery of the mountains, the Merced River and Yosemite village from the dome. The top can get quite busy during peak season, so a relaxing picnic might not be ideal.  You can even get a cell phone signal from here! From the top, begin your descent and head over to Glacier Point, however the signage here isn’t great. There is a sign pointing towards Glacier Point, but it soon becomes unclear what to do when you come to a newly built telecoms tower (ahead on your left). Not surprisingly, you get five bars up there. The quick walk down to Glacier Point follows switchbacks down through the forest to get down to Glacier Point Road. 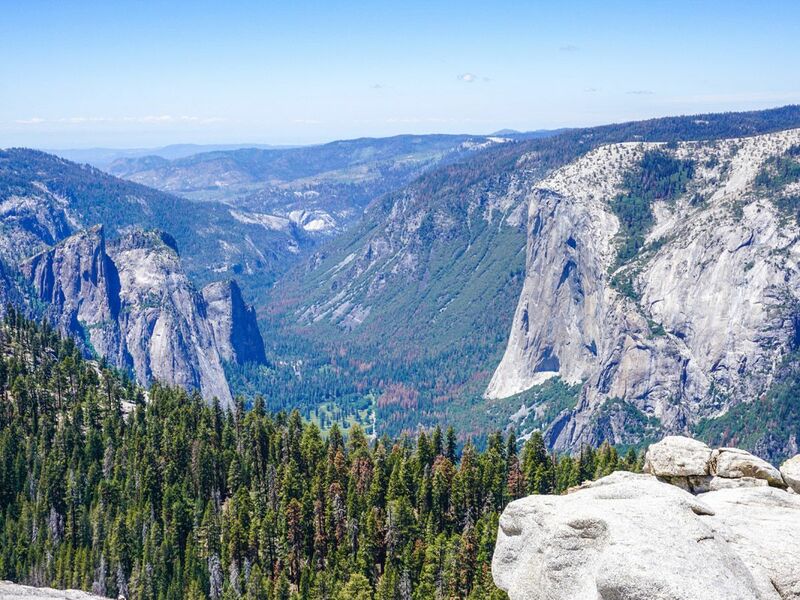 You will cross over the road and pass the parking lot to reach the crowded yet stunning Glacier Point. The Glacier Point viewpoint is absolutely beautiful. There are numerous washrooms and a large gift shop. The gift shop also sells cold beverages, snacks, and has a small grill for lunch. It is a godsend on a hot day. 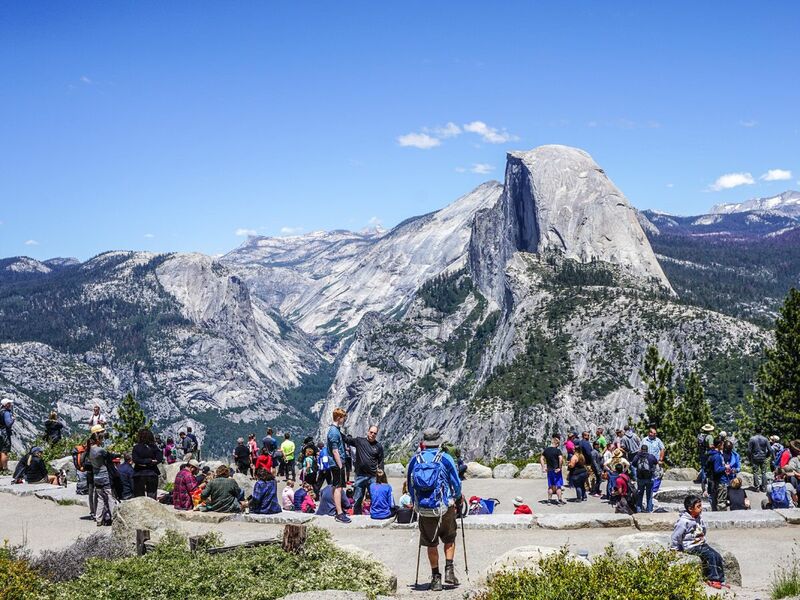 There are many places to sit, both in the sun and shade, and nearly all of them have a great view of Half Dome. To return to your car you can either take a bus directly back from Glacier Point, or hike back. 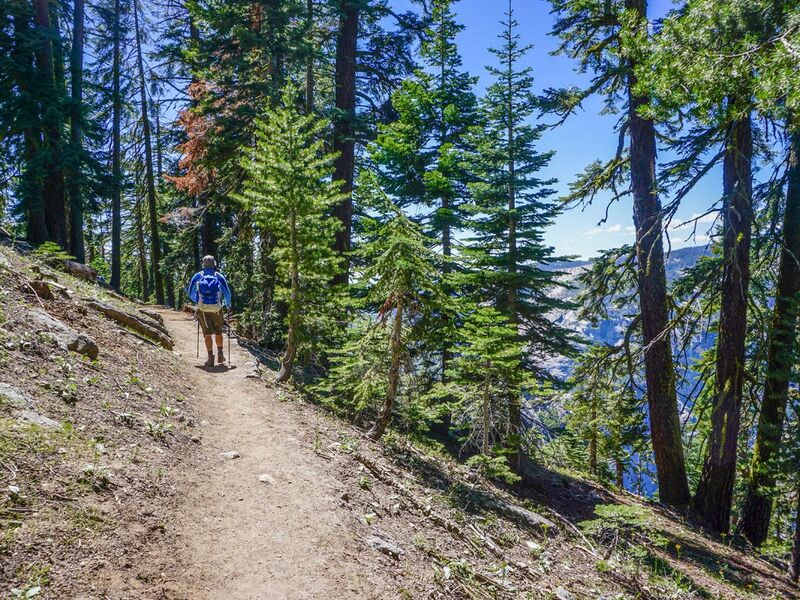 If hiking back you have two options: you can return the way you came or take the Pohono Trail around to Taft Point. 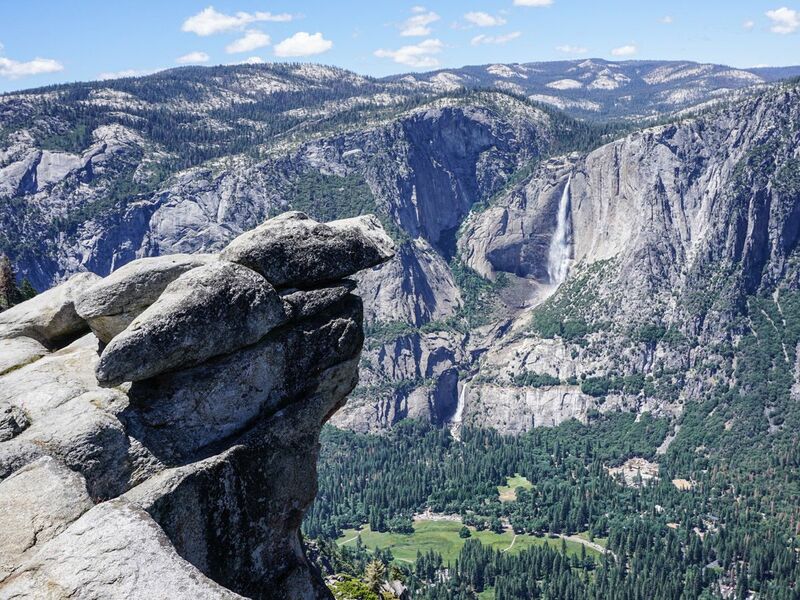 The views along the trail are less stunning than the main path though Taft Point is worthwhile, with scenic views of the western part of the valley. Along the Pohono Trail there are a few very minor stream crossings, just large enough to make the hike feel like more of an adventure. Catch the bus from the main parking lot and it will take you back to the ski hill parking lot. 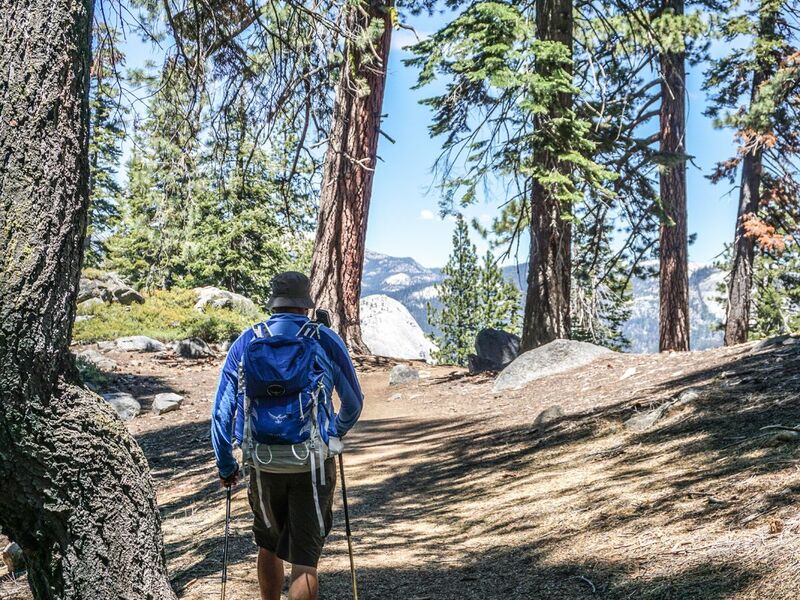 If you’re only going from the ski hill to Sentinel Dome, or back, you can jump the lines, as you don’t need a seat! This is great on busy days. The treats at Glacier Point are very cheap! Stock up and enjoy a nice break here. It gets very busy, as does all of Yosemite, so getting out early or late is a benefit.